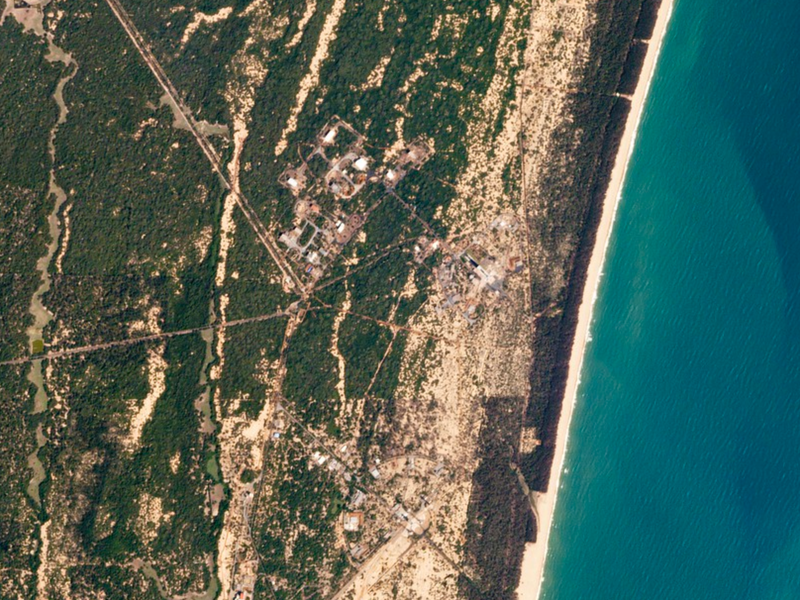 The upstart remote sensing company is poised to begin daily whole-Earth photography. An Earth-sized image scanner is about to come online. With the simultaneous launch of 88 satellites tonight on an Indian PSLV rocket, San Francisco-based Planet Labs hopes to complete the constellation of tiny birds that will let it image the whole planet daily. The PSLV is expected to deploy a record 104 satellites in all, far exceeding the 37 released on a Russian launch in 2014. Over the next few months, Planet Labs will maneuver what it calls its “Doves” into the correct spread in their 500 kilometer-high orbit, says the company’s launch director, Mike Safyan. Even though the nanosatellites lack propulsion, there’s enough atmosphere at that altitude to use differential drag to space the CubeSats in their orbit, like pearls on a string. “The satellites have solar panels that fold out. We can rotate the satellite to be in a high-drag mode or a low-drag mode,” Safyan says. While Planet Labs has put up other “flocks” of satellites over the course of 15 launches, this will be the first time more than 100 are working and in the proper position at the same time. The constellation provides photographic coverage almost from pole to pole. Locked into a sun-synchronous orbit, the wave of 100 identical satellites will cross the same point in the globe each day at local morning. Along with this daily sweep of Earth, Doves in other orbits and at different altitudes will provide supplemental coverage, while a different group of satellites called RapidEye can take images in additional spectral bands. What the Doves lack in resolution (they see details down to 5 meters, whereas some commercial satellites are 5 or 10 times sharper) they make up for in low cost and timely coverage. “[Timeliness] is very valuable, especially for some regions that we don’t have ground information on,” says Carolyn Belle, an analyst with Northern Sky Research. Belle says that with Planet Labs’ resolution, they can deliver “change detection” for construction sites, dams, and deforestation. Bill Ostrove, an analyst at Forecast International, notes that Planet Labs can “look at a factory and see how many tractor trailers are lined up outside every day to get an idea of how many shipments they’re making.” Both industry experts see the daily coverage as a complement to competitors’ higher resolution and less frequent coverage. Planet Labs hasn’t bet the future entirely on CubeSats. In 2015, it purchased RapidEye, which has had five 6.5-meter resolution minisatellites in orbit for several years. And in early February, the company picked up Google’s Terra Bella division, which has seven 1-meter-resolution satellites already in place and several more queued. Belle says this mix will let Planet Lab perform higher-resolution captures on demand for customers who see something of interest in a daily scan. Glenn Fleishman is a technology reporter who contributes regularly to Fast Company, The Economist, and The Atlantic. He blogs at glog.glennf.com.